A South Ayrshire man has been banned from owning bovine animals for five years. 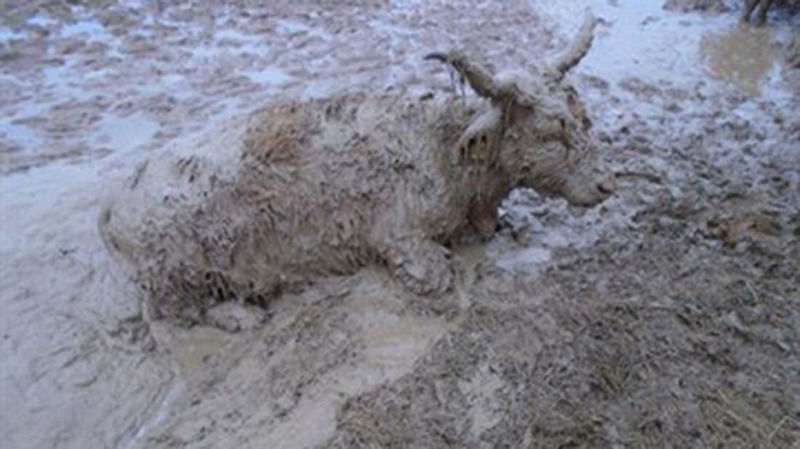 A young calf was left for dead in the mud after becoming trapped. More than 20 young cattle were found on the farmland, with many ‘severely underweight’. Detlef Meier, 63, of Maybole, South Ayrshire, was sentenced on February 24 at Ayr Court for causing unnecessary suffering to animals. He was also charged for the failure to ensure the welfare of animals under section 19 and 24 of the Animal Health and Welfare Scotland Act 2006. The Scottish SPCA investigated the farm and welcomed the sentence. Chief inspector Karl Knowles said: “This was a shocking case of severe neglect. “Meier had failed to provide suitable nutrition and drinking water, adequate shelter from adverse weather, and a dry clean resting area and protection from the deep muddy hazardous environment he knew his animals were enclosed within. Insp Knowles said he hoped Mr Meier ‘seriously considers’ his suitability to own and care for bovines in the future. Mr Meier was fined £5,000.